In the battle over VR and AR, I think it’s safe to assume that AR games and apps will find it easier to see a wider adoption for the simple fact that they’ll be usable by just about everyone, thanks to the phone in their pocket. With augmented reality (AR) experiences, you don’t need extra hardware (like a VR headset) in order get up and running within minutes. 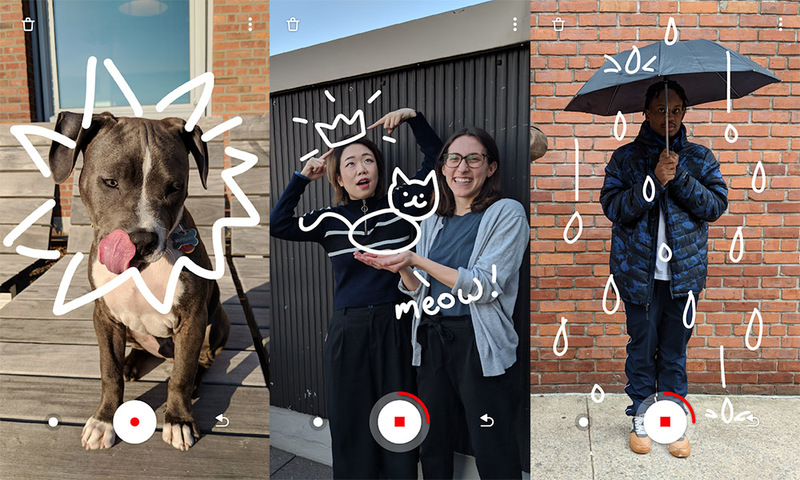 And there is no better example of that than Google’s Just a Line app that was released today as one of their AR Experiments. In Just a Line, you get to draw on a screen with a white marker, then record a simple video utilizing whatever it is you just drew. You need to be somewhat clever or creative to make the most fun of Just a Line, but I’m sure you can do that. There aren’t many controls outside of the draw tool and record button. The rest is up to you. If you need some examples, watch Google’s video above. After looking at the list of supported devices, it’s looking like Just a Line works on ARCore supported phones. You can find a list of those here.